Hello Marcus, we haven’t met in person but, as you know, we are related. Our Great-Grandfathers were brothers, who moved from Herefordshire together to mine coal in south Wales in 1901. We communicate occasionally on social media and share some common interests. And like you, I’m a Cardiffian who writes about sport. But we have taken very different paths since growing up in Cardiff with our wider close-knit family spread across Cardiff and the valleys. I now live in north Wales, and live my life in the Welsh language. 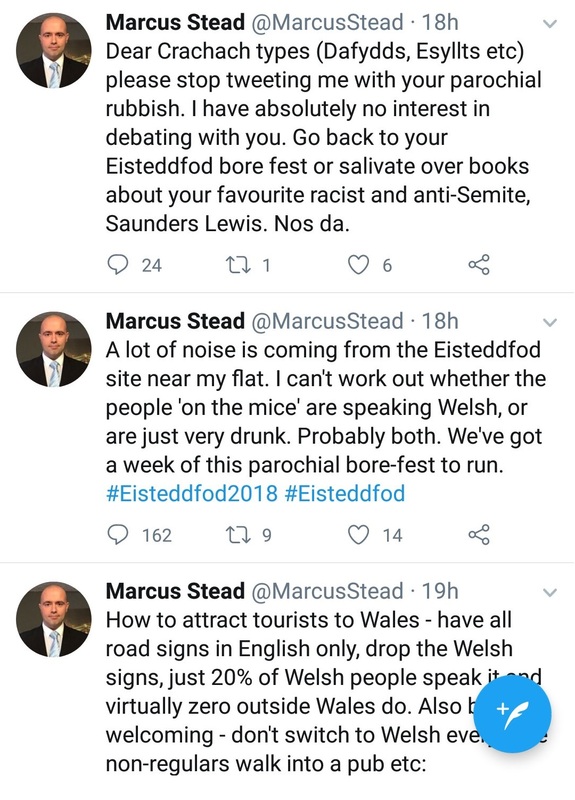 Since the recent publicity regarding your negative posts about the Eisteddfod and the language, people have contacted me and my sons, to discover with amazement that we are related. My Welsh-speaking friends are aghast at your views, but I know where you are coming from. When I grew up in Caerphilly, and then Fairwater, the Welsh language wasn’t on my radar. It wasn’t just that I didn’t know anybody who could speak Welsh, I wasn’t even aware of the language until a lesson at the age of nine. I remember it clearly now. We all shouted ‘Rydw i’n Hoffi Coffi’ until we were creased-up with laughter. But that Welsh lesson to a group of monoglot Cardiffians changed my life. I don’t know what was triggered inside me, but from that day I was curious about Welsh. I went to Fairwater Junior, and Cantonian High School long before Plasmawr was an option. Glantaf was just a rugby opponent where they only spoke Welsh to pass on secret lineout routines. When it came to chosing my O Levels, I picked Welsh because it was easier than Physics or Home Economics. I also chose French and my Francophilia was born with a 2-week exchange in Nantes and a lavender-scented girl called Veronique. I wasn’t offered an exchange visit as part of the Welsh course because- well – I was already in Wales. My only inkling that Welsh was a language that people actually used came at an Urdd concert in Sophia Gardens and a trip to Llangranog alongside other English-speaking kids. I failed my Welsh A Level, actually failed it. It was way too difficult with obscure rules about mutations, construction and gender. There were rules for this and exceptions for that. And then there were the different words for the same thing. I was a young Cardiffian expected to read and understand north-Walian dialect. I’m really angry about it when I look back. It should have put me off for ever. And it almost did – until I met my first north Walians. My friends at Cardiff Uni were from Gwynedd, and they were just like us. We spoke English of course, because that’s what Welsh speakers do when they are in the presence of even a single person who doesn’t understand Welsh. And then I met the Cardiff City fans and the musicians from Glantaf. They all spoke English to each other too, because we were a mixed language group. Those Glantaf kids who only spoke English at school – they all speak Welsh now they are parents. Welsh language education does have an effect in the long run. My life changed when I visited north Wales for the first time at the age of 20. My new mates played a tape by Meic Stevens in the car. I had no idea what he was singing about but it amazed me that they were all connected deeply to this music and they shared a common relationship to songs that I had never heard. And the mountains – my God, the mountains. This was a long way from Cardiff, geographically, literally, and of course culturally. It was at Arfon’s house in Llanfairpwll (nobody really calls it by the long name) that I heard a family speak Welsh together for the first time. I played piano with his young sister Bethan and was accepted with warmth into the family – never patronised, or excluded, just welcomed. It was that weekend that I decided I wanted to one day live in the north. I felt cheated that this world, this Wales existed and nobody had told me. But I could easily have turned out like you. The Steads were Labour people, with Welsh speaking wives whose language diasappeared in a single generation. My mother’s family are royalists (not that you are), and Conservatives. They’re Welsh too, but very British. I grew up as a Brit. I remember the whole street in Bwlch, Rd Fairwater singing ‘There’ll always be an England’ while waving Union Jacks at the Queen’s Jubilee Party in 1977. What changed me was my introduction to Welsh language culture at a grassroots level. I met real people, real families and was given an introduction to Welsh as a real living language. I already had that introduction to France with my exchange trip, but never to my own country. The geographical and cultural polarisation of Wales means that communities can live a life-time without meeting the other side. Just as some in English-language areas are suspicious of the Welsh language, I know of people in the north – not many – who will consider monoglots as ‘not proper Welsh’. A bigot is created by fear of ‘the other’. The English word, ‘Wales’ literally means ‘the other people’. I can empathise with your views on the ‘crachach’ – that mythical closed-shop elite Welsh establishment. 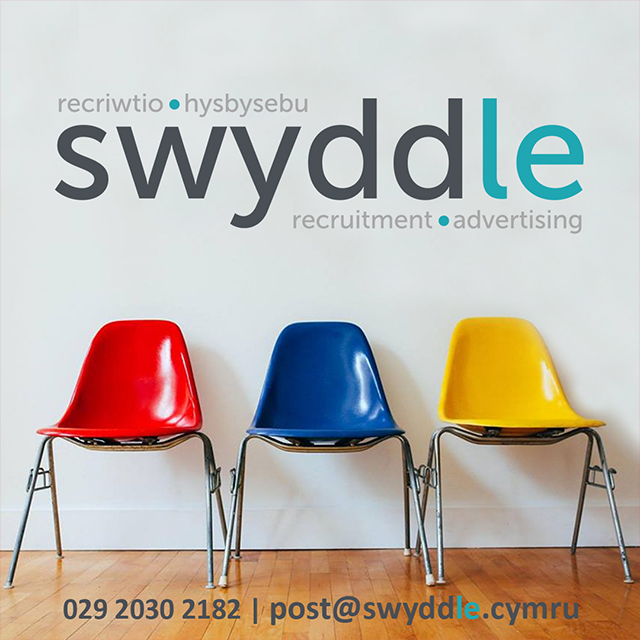 When I started looking for employment in Cardiff, there was a definite sense that it was impossible to work in the public sector without Welsh language skills. That situation can create an atmosphere of resentment against the whole community. Did I miss out on that job with BBC Sports because I couldn’t speak Welsh? As it turns out, no – that wasn’t the reason, but I can see why somebody might think that. 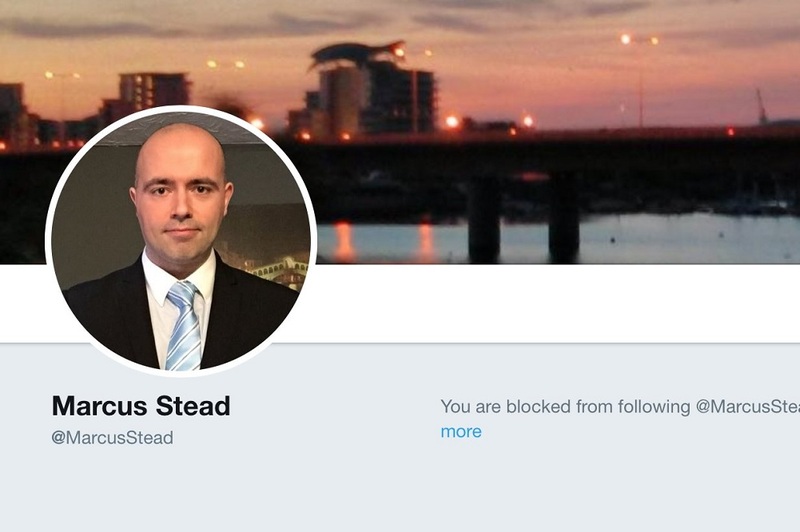 I don’t accept your suggestion that people with names like ‘Esyllt’ and ‘Dafydd’ are prominent in Welsh establishment. They’re just Welsh names. Welsh-speakers are just as likely to be called Rob, Dave and Sharon, but maybe their names don’t jump out at you from the TV credits. I met my Welsh speaking wife in 1994, but we didn’t speak Welsh to each other until the birth of our first son in 2000. We literally changed to Welsh one morning and it was weird, funny and perverse. It was very tough and needed a lot of trust and patience. We lived in Cefn Mably at the time, near St Mellon’s. It was when the local community started mocking her accent, and sneering when she spoke Welsh to our baby that I suggested we move north. That really happened, Marcus. Several times. So now I live in a village called Y Felinheli, and work in Caernarfon. And here’s the rub. The vast majority of the people here speak Welsh. It’s their language. It’s not just a political statement, a cultural stick to beat you with – it’s just their language. They talk about Love Island, Donald Trump, and they buy their chips in Welsh. 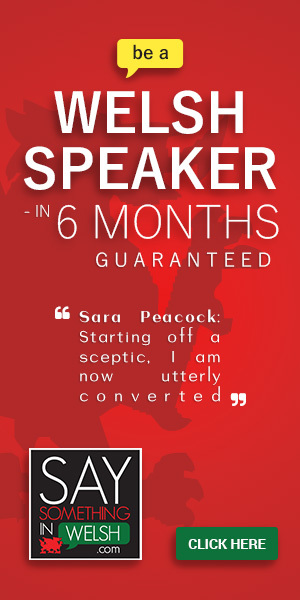 And you’ll have to trust me on this – nobody has ever, ever changed to Welsh because strangers walk into a pub. They may change from Welsh to English and back again naturally from time to time, because we are a bilingual society hugely influenced by English language culture. But we never change to Welsh to exclude strangers. And there are half a million people just like the people in Felinheli who live their lives in that language – the language of their country. And when those Welsh-speaking people from Felinheli, Aberstwyth, Crymych, Dinas Powys or Splott visit Cardiff, they have a basic human right to use their language in the capital. That means road signs, VAT bills, parking tickets and yes, the consumption of media. With increasing concentration of public services to Cardiff, that Welsh-language requirement becomes even more important. You say that you are not against the Welsh language per se (though evidence suggests otherwise), and that you simply object to the compulsory provision of Welsh in schools. Well without that compulsory provision, there is no way that I’d have discovered the rich culture, ancient language, and met the amazing, passionate Welsh-speaking people that I am proud to call my friends and family. Why would you want to deny any child the key to a large part of their country’s culture and language? I genuinely don’t understand that. I’m very uncomfortable with the way you have been treated. I vehemently disagree with your views, but I defend your right to express them. There are people in Wales who feel Welsh, and those who feel British, and I don’t think Wales will ever change – aggressive colonialism has been far too successful. So we have to live together and respect each other. But you must realise that when you criticise a language, you are attacking the very soul of the people who speak it. I suspect your intention was to offend, and you succeeded. I think that exchange visits between Welsh schools and regions are the answer. I strongly believe that if you spent a week in my village drinking in our pub, hearing old people share tales, seeing the children play together and our community celebrating and mourning life – all in their natural tongue – that your stance would soften immeasurably. It’s just an ancient, beautiful language – don’t be afraid of it.